Saccharomyces Cerevisiae- For sweet white/blush and dessert wines. Produces high levels of desirable congeners during fermentation including aromatic thiols, imparting rich fruity aromatics, full body and ‘tropical’ flavor characteristics. 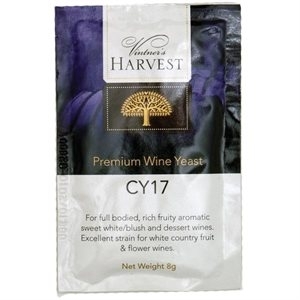 CY17 is also noted for high glycerol formation, further enhancing sweetness.